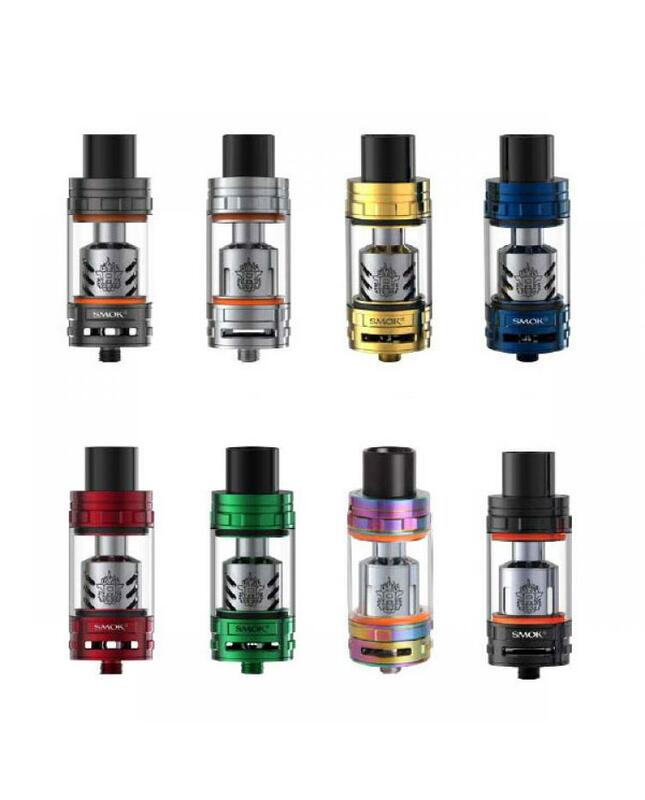 Smok TFV8 cloud beast tank, made of stainless steel and pyrex glass, different fashionable colors available, the new smoktech tank can hold 6ml e juice, totally eight different coil heads available,vapers can select:V8-T10, V8-T8, V8-T6, V8-Q4, V8 RBA, V8 RBA 16, V8-X4, V8 RBA-8, makes it be real cloud beast tank. 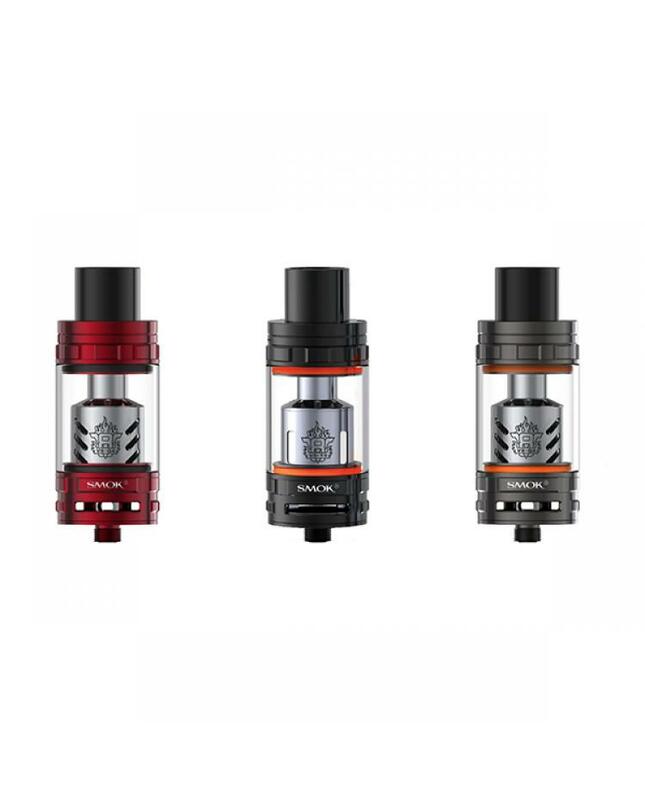 smoktech TFV8 with two bigger adjustable air slots on the bottom can be adjusted freely, bigger heating air tube, increased 30% than the tfv4 tank. 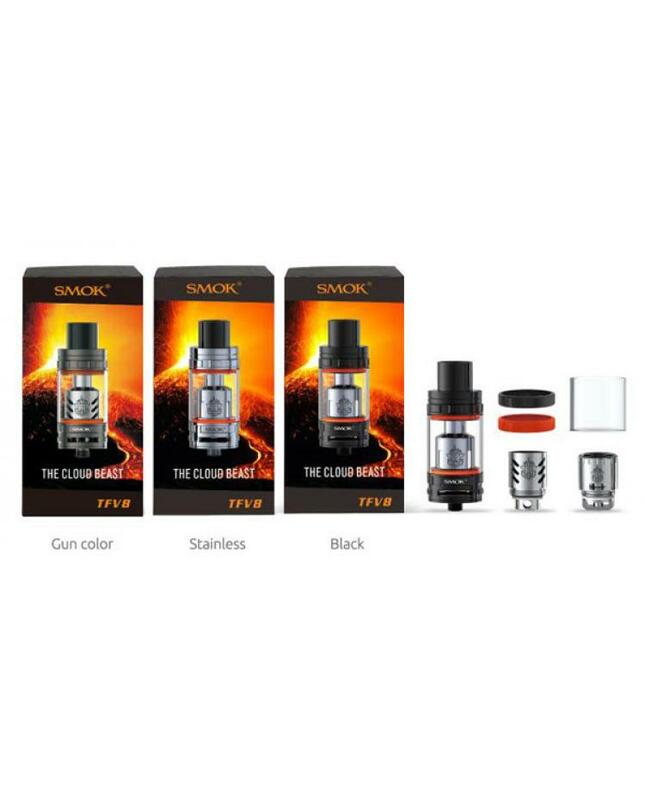 the smok tank with Delrin drip tip with large caliber which could bring large cloud, the vape cloud will be filled the whole room with just a few vaping. 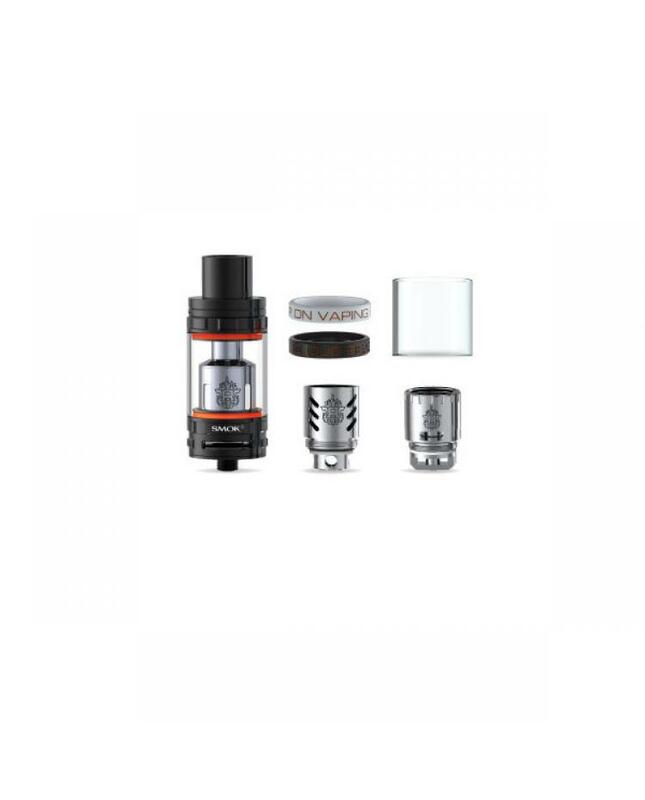 the new vape tank with top refill design, more convenient to fill e-juice. 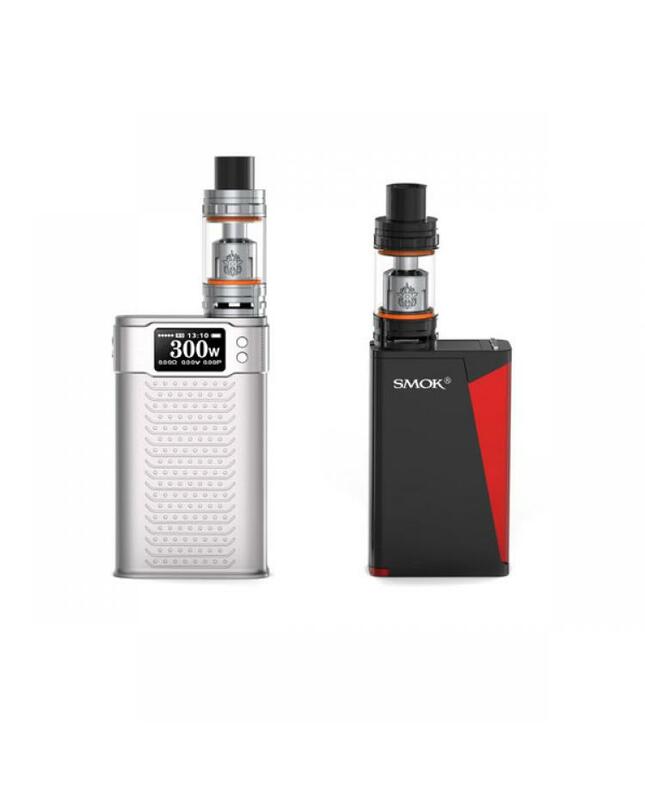 recommend works with koopor 300w TC mod or h-priv mod, will produce a massive cloud of vapor and flavor.